Posted September 8, 2016 by sdrexler-admin & filed under Forged Documents. It was meant to be a breaking story about President George W. Bush’s National Guard service, but it ended up getting four CBS News employees terminated for presenting a tale that wasn’t entirely true. The story, which aired in 2004, was reported in the midst of the race for president between Bush and Sen. John Kerry, and ended up being one of the biggest cases of the importance of certifying documents thus far in the 21st century. Originally reported by Dan Rather, the news story was based on four documents that the reporters stated were written on a typewriter by Col. Jerry Killian, one of Bush’s Texas Air National Guard commanders back in the early 1970s. The letters were supposed to be things of great history, but there was a problem – they were forgeries. The documents, which suggested that Bush disobeyed a direct order to appear for a physical exam in addition to stating that his time in the service may not have been as heroic as some may have thought, probably weren’t typewritten at all. Instead, many experts believe that they were written on a modern word processor. After CBS News could not prove the authenticity of the documents, an investigation was launched. Led by a certified forensic document examiner, an investigative panel identified 10 defects in the story, including the fact that a typewriter produced in 1972 just could not have written them. How Did They Make the Ruling? Many experts were brought in throughout the course of “Rathergate,” and they all brought their expert analysis to bear in examining the factual and production flaws in the documents. Several factors went into falsifying the use of a 1972 typewriter. For one, there are several instances of the letter “f” overlapping the beginning of the next letter, which was a feat that could not have been achieved by even the best typewriters of the 1970s, noted Carnegie Mellon University professor Joseph M. Newcomer in an article in The Washington Post. Other tests showed that the font widths in the documents were not possible on any typewriters from the year they were supposedly written. 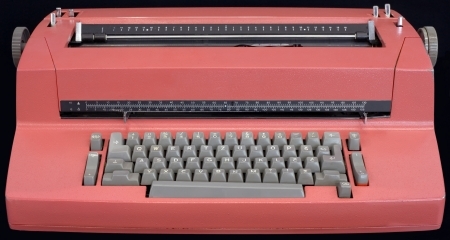 Also, the use of a raised and compact “th” symbol and the letter spacing was atypical for typewriters of the era, according to technology consultant Bill Glennon, speaking to Time magazine. The New York Post also investigated the problems uncovered dealing with the authenticity of these documents. Previous investigations found that the specific model of typewriter used was an IBM Selectric II, and in the Post’s investigation, the newspaper found several inconsistencies with the documents. At the time the Rather documents were purported to have been produced, no commercial office machine was available that could perform certain functions that were used in creating the documents. Examples of anachronistic technologies included the ability to center the header, the use of Times New Roman font, the option to select a superscript function and the presence of a specific spacing of letters (proportional spacing). In addition, the paper reported they had created a better – and near identical – reproduction when using an IBM Selectric Composer typesetter. Records show, however, that this type of office machine was not commercially available and not at Bush’s National Guard base at the time the documents were produced. One of the first document examiners brought in by CBS, Linda James, cautioned producers that there were clear problems and she could not rule out the possibility that the key documents to the story were fraudulent and may have been produced on a computer. In the end, the scandal brought up the often forgotten fact that modern journalism can sometimes be more about ratings than journalistic integrity. The station learned that the hard way, and Rather stepped down from the evening news desk soon after. These days, Drexler Document Laboratory is synonymous with quality document examination and handwriting verification, and we are skilled at handling projects big and small. While you may not be trying to verify the authenticity of a potential breaking news story, we can put our knowledge and skills to use in verifying the authenticity of your document or disputed handwriting. To learn more, call us today at 844-373-9522.